The Sony Cyber-shot DSC-WX1 is the first of two Sony cameras to employ the latest “Exmor R” back illuminated CMOS sensor technology that promises better ISO sensitivity and lower image noise / grain. The Sony WX1 has 10.2 MP resolution, 1/2.4” Exmor R CMOS image sensor, 24 — 120mm zoom lens, lens aperture range of F/2.4 (wide-angle) — F/5.9 (telephoto), HD video recording (720p @ 30fps, 9 Mbps, MPEG4), 2.7 inch LCD, optical SteadyShot image stabilization / shake reduction, ISO 80 — 3200, Sweep Panorama capability for wide landscapes. The Sweep Panorama mode allows you to snap a panorama photo simply hold the shutter button down, and then pan the across the scene. The WX1 will then automatically stitch the images together to give you a 5.3 MP (4912 x 1080 pixels) final photo. This way, you don’t have to separately shoot two or more pictures to get that panorama like what you’d need to do on other cameras. Sony WX1 — Black: Latest price and stock availability information. Availability in Japan will be sometime in early September 2009. Sony UK has the full WX1 specs. Dimensions: Approx. 90.5 (Width) × 51.8 (Height) × 19.8 (Depth) mm / 3.56 (Width) × 2.04 (Height) × 0.78 (Depth) inches. Weight: Body only — Approx. 120g / 4.23 oz. With accessories — Approx. 149g / 5.26 oz. Storage Media: Built-in Memory (approx. 11MB), Memory Stick. Power Source: Sony Lithium Type G NP-FG1 / NP-BG1 Rechargeable Battery. Battery life (stamina) with the supplied NP-BG1: 350 shots, 175min (CIPA standard with LCD screen on). EPrice has some detail photos of the WX1 and the NPBG1 battery next to the camera. Official Sony WX1 press release — Announced on Thursday, 6 August 2009 04:00 GMT. Sony WX1 promotional video at Sony UK. 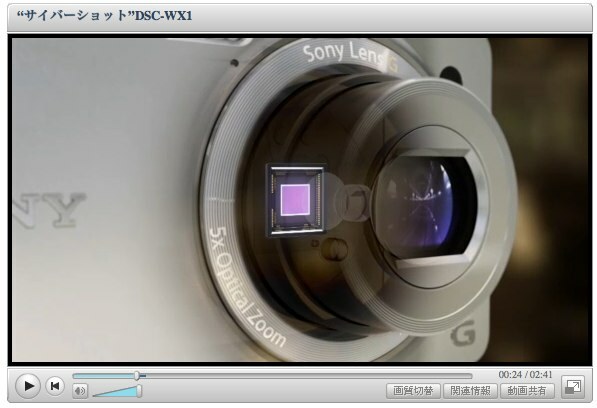 Japanese Sony WX1 video promo (Google’s English translation). For the latest updates, please visit Sony WX1 Samples. Sony WX1 full-resolution test photos at DigitalCamera.jp — the high-ISO performance of the WX1 looks impressive from this set of photos. 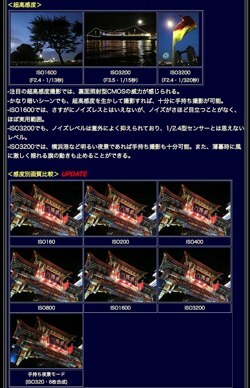 The site doesn’t seem to have permalinks, so you’ll need to visit the page (or see Google’s English translation), and use your browser to search for the string “2009/8/7”, and then click on the thumbnails to access the original images. In my opinion, the WX1 does seem to do better than my Fuji F200EXR. On the Fuji, you’d need to dial the resolution down to 6 MP in order to get the best noise performance, while on the WX1, the full-sized, excellent image noise characteristics can be had even at the full 10MP resolution. What’s truly encouraging is that even the ISO 3200 night pictures, when re-sized to 1920 x 1440 pixels, is perfectly usable. 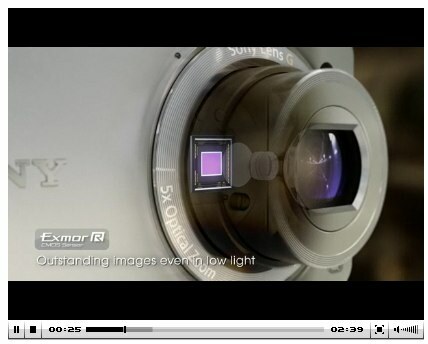 I think Sony’s new EXMOR R isn’t just hype, but a good example of real improvements being made in small sensors. Next up, Sony WX1 full resolution test photos at EPrice — these are taken with what looks like a pre-production camera (based on the EXIF data). 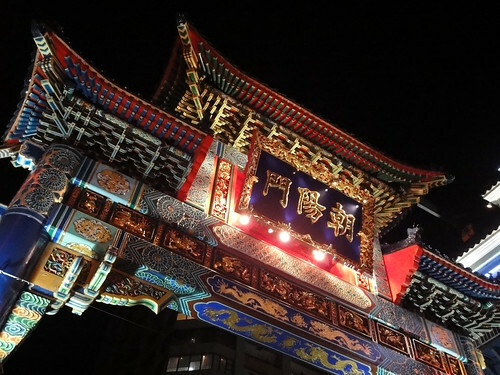 There are portraits and high-ISO images to test image noise performance. The images are mixed together with photos taken with the Cybershot DSC-TX1.